Into The Shop - SIMRAD Echo Sounder brought to you by West Marine. 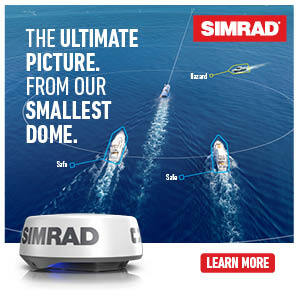 With the new SIMRAD Halo Radar, any and every feature is available at your fingertips. Radars aren’t always necessary for fishing and boating, but they do come in handy when something may go wrong. For instance, if the weather becomes rainy, or even foggy, and you’re still on the water, the Halo Radar will guide you safely back, and will alert you if you’re at risk for collision. SIMRAD’s Halo Radar is reliable, gives instant feedback, and keeps your safety at it’s top priority. Older PostAMERATRAIL | Load. Launch. Relax.